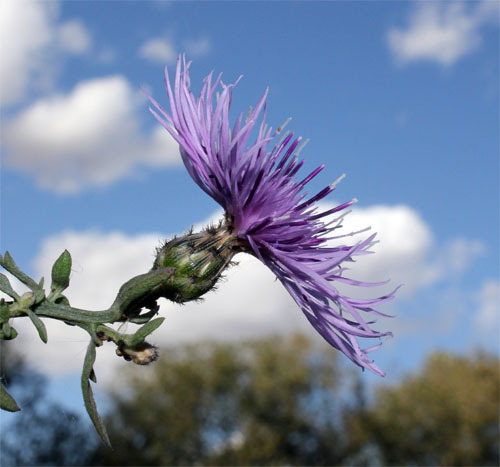 Spotted knapweed is native to Eastern Europe. It was introduced to North America as a contaminant in alfalfa seeds in the 1890s. 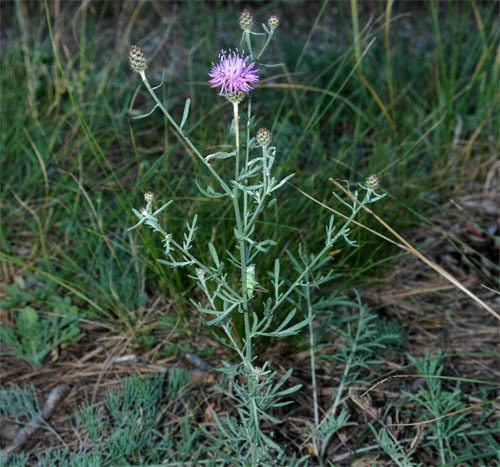 Infestations of spotted knapweed form monocultures that displace forage for wildlife and livestock. It prefers to invade disturbed areas in particular. Its roots release chemicals into the soil that inhibit the growth of other plants. 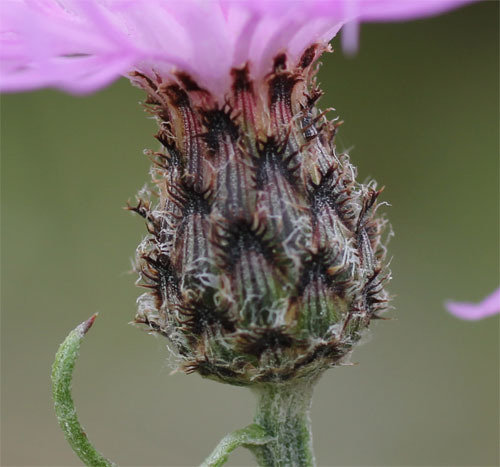 The flowers of spotted knapweed are 6-15 cm wide and the bracts have hair-like margins. These hairs are shorter than the triangular centre of the bract. The bracts also have distinctive dark vertical stripes. The stem leaves are deeply lobed and each lobe is narrow. 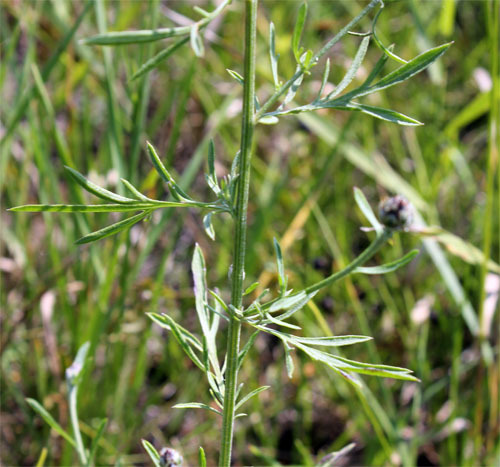 The leaves and the stem are covered in hairs and are grey-green in colour. Each plant has several erect stems that grow 40-150 cm tall.